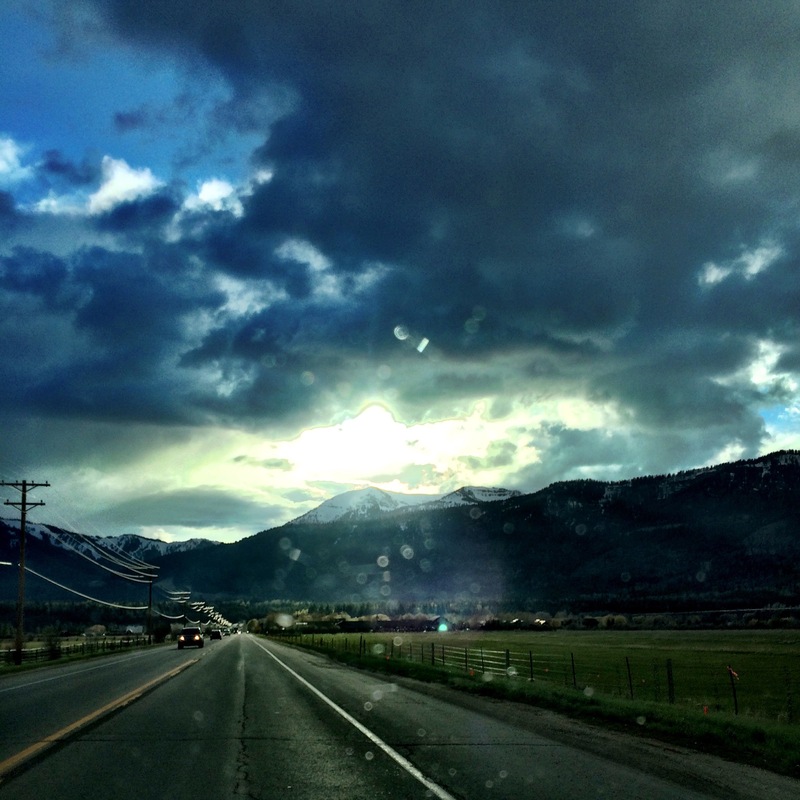 A rainy day called for a weekend adventure to Yellowstone National Park. I wanted a week or two more to explore all the nooks and crannies of the park. There’s so much vastness and so many cool things to see in the park. As I started down the mile loop to Artists’ Paintpots it started snowing and I felt like I was on a path in a Magical Forest. I was a kid again exploring my make believe play land. Only now, I’m an adult playing in my grown up play land. 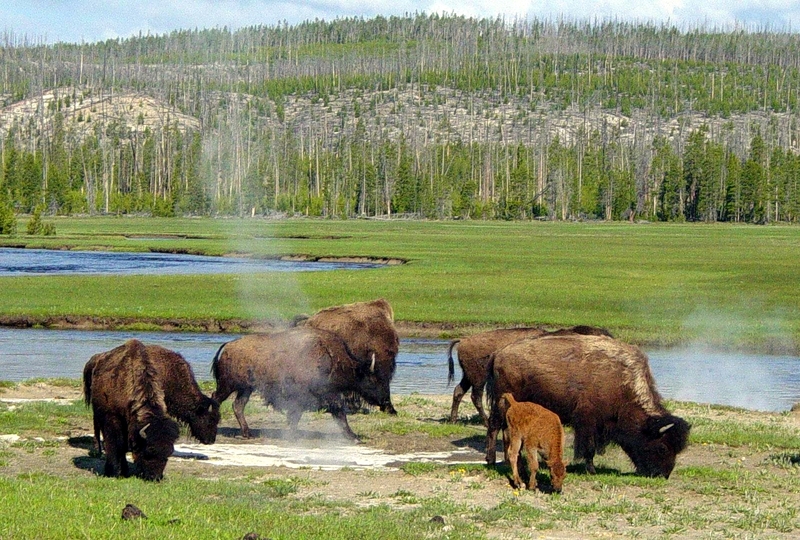 In 1988 a fire burned a majority of Yellowstone Park. I remember driving up to Island Park and into Yellowstone and watching the fires burn. It was crazy and so much smoke. Over 9,000 firefighters were brought in to fight the fire. It’s healthy for a forest ecosystem to burn and naturally regenerate itself. Lodgepole Pines affected by the fire of 1988. Fires approaching the Old Faithful complex Sept 7, 1988. 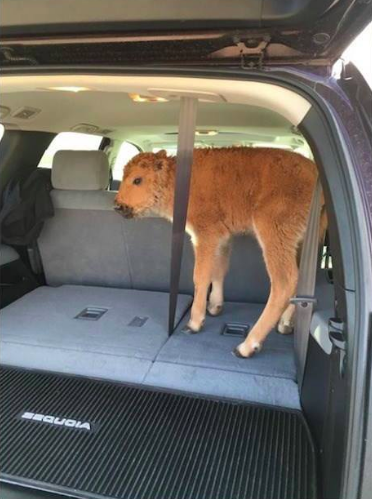 I feel bad for: 1) The little bison, it had to be put down because it never reunited with it’s herd 2) the concerned visitors. They thought they were doing a good deed but were fined. The name of the game: KNOW BEFORE YOU GO. Check out the park rules HERE Wildlife are not domesticated animals, they are WILD. Take caution and don’t try to pet the moose or get a close up of the bear you see just off the trail. I’ve witnessed too many times myself, tourist wanting to get that great shot with the wildlife. 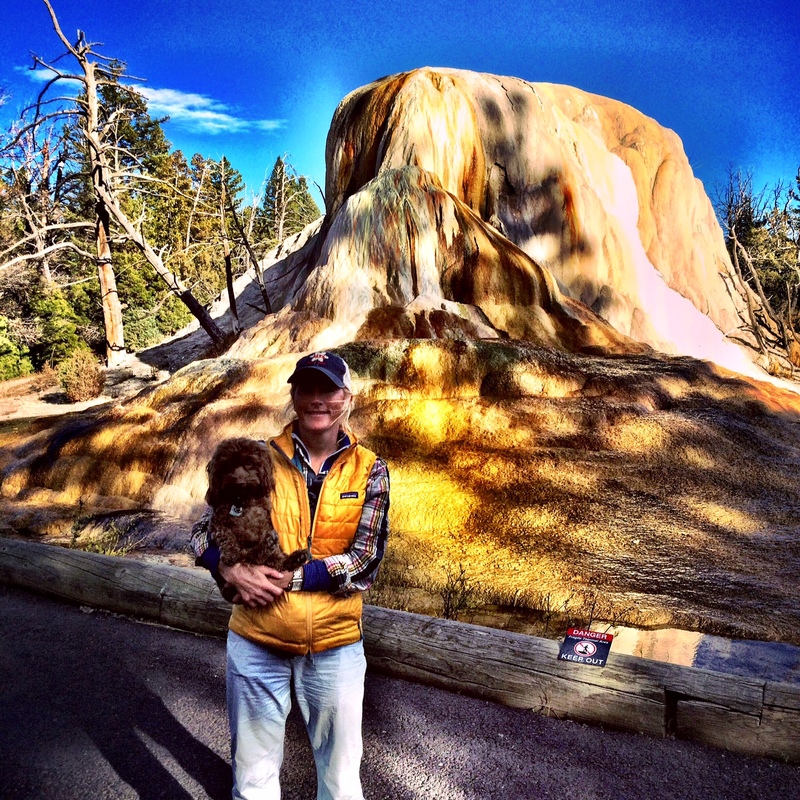 Take caution, wildlife in National Parks are not furry friendly animals. Look from a distance and get a tele-photo lens so you can enjoy the National Parks! I LOVE the Tetons…as in the Grand Tetons. I grew up in the shadows of them and thought they were pretty but didn’t truly fall in LOVE until my first time hiking over Hurricane Pass when I was 14. I’ll never forget coming up to the summit on Hurricane Pass after a BRUTAL, yes, it’s hard and yes, I was a teenager, hike to the top. As I reached the summit, there stood the Tetons and the Grand bolding applauding me for my accomplishment of the summit. Those mountains were mesmerizing and larger than life! I felt like I could reach out and touch them. That day, I fell in LOVE with the Tetons. I’ve spent many days since then in the Tetons, climbing the Grand, the middle. 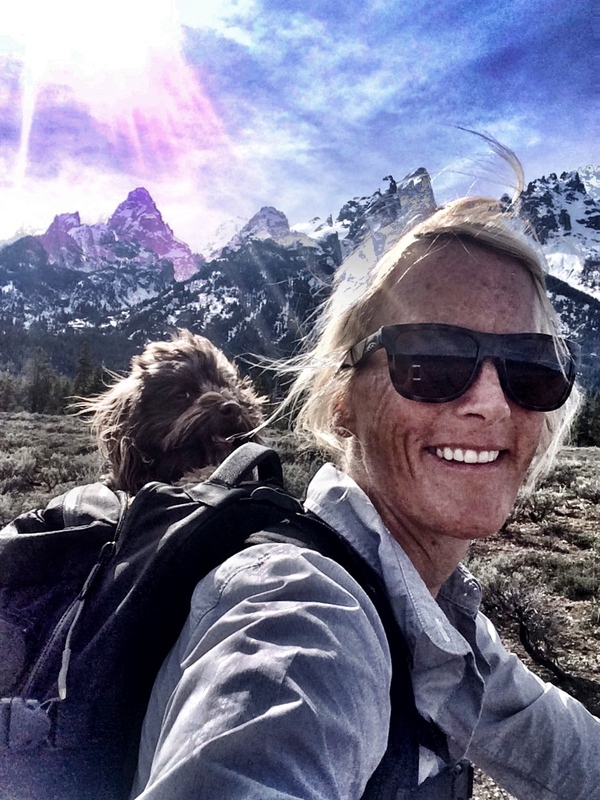 Hiking/running/backpacking/skiing in and around the canyons surrounding the Teton Range. 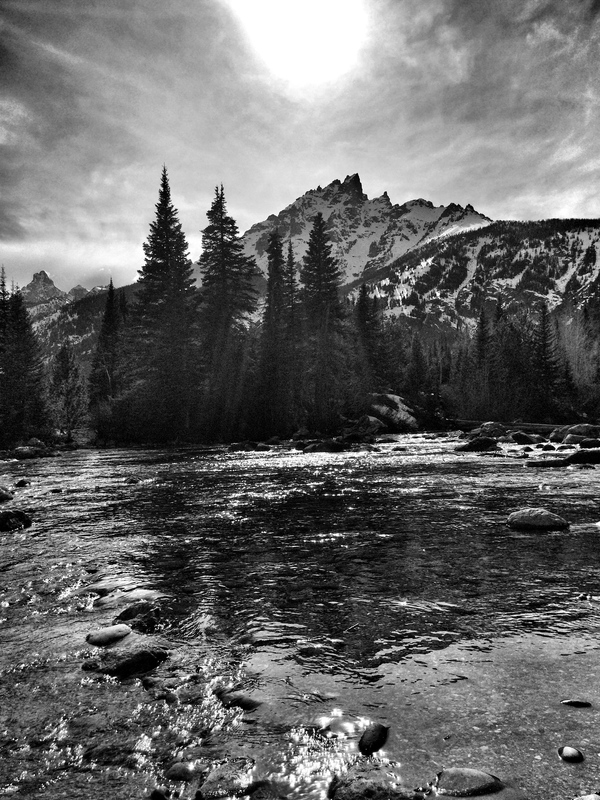 There’s something magical, mysterious and captivating about the Tetons and their majestic beauty. Today my family biked in the Park with the Tetons overshadowing us all day long. I have many memories with the family adventuring in the Tetons, riding the boat across Jenny Lake, bear encounters and more. The family motto: A family that plays together, stays together. We’re missing a few siblings but it was fun to get out and enjoy NATURE. We laughed and had fun along the way. I think this is for the visitors from Asia. They have holes in the ground for bathrooms. It made us laugh. Not a typical sign you see daily. I was too tired to run today, so I decided on a cross-training day. 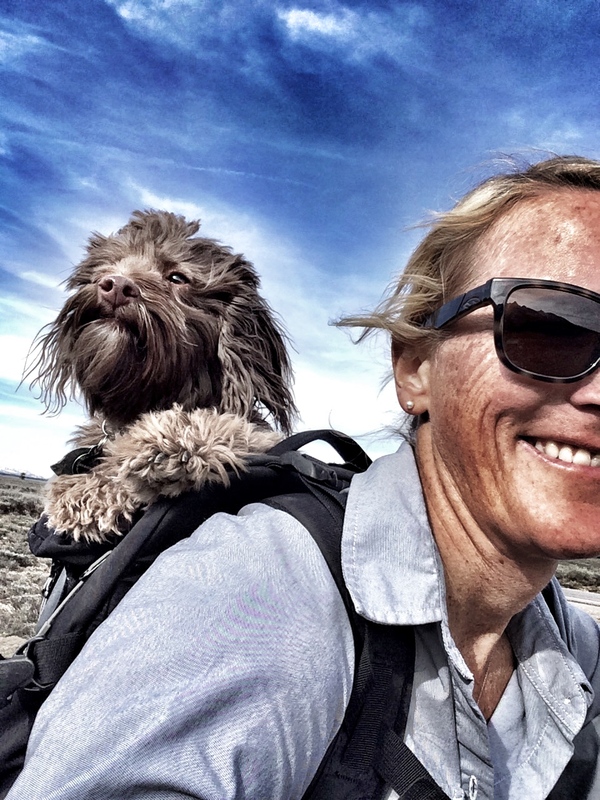 Teton and I decided to bike through Grand Teton National Park. I personally KNOW how important cross-training is for your running training, whether it’s a 5K or a 50K, it’s important! The races I didn’t do any cross-training, I could tell. Check out this great article on why cross-training is important: HERE My cross-training is fun and casual, biking, water-skiing, hiking. I keep it light since my training days are more intense. It’s early season in the park so not too many people. There’s still snow in mountains so we biked from Taggart Lake parking lot to Jenny Lake. A must do! The views were splendid. And Teton LOVED it! Fitting don’t you think?! A Pedal in the Park Essentials: ON SALE! Teton and I decided to be tourists in our own backyard. 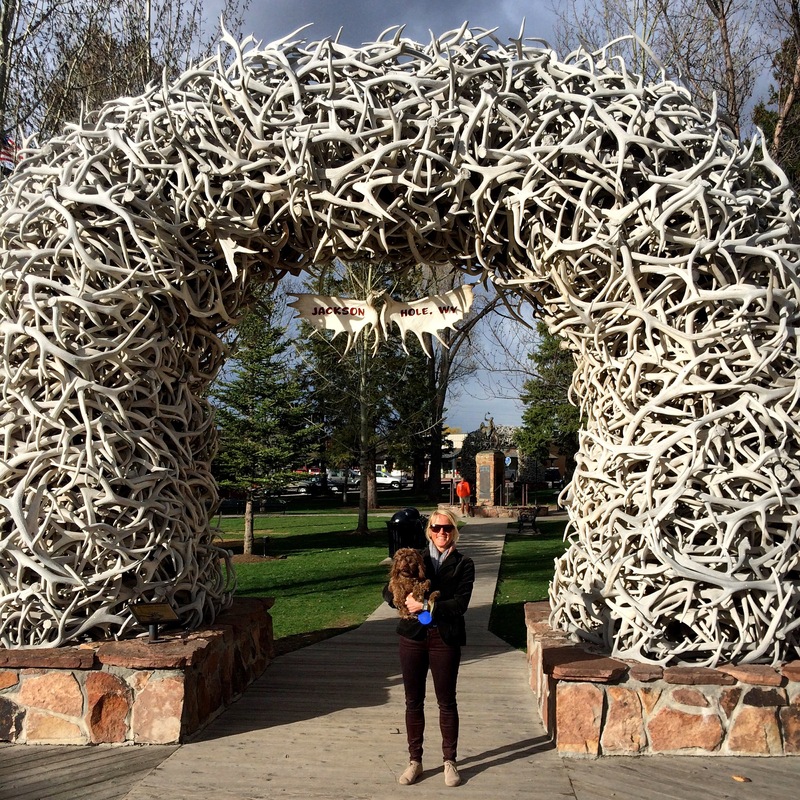 It was fun exploring Jackson Hole and with it being the off-season we had the place to ourselves, almost. There’s so much to do in town and in the parks. And did I mention, IT’S BEAUTIFUL! Bring your camera, you’ll need it. 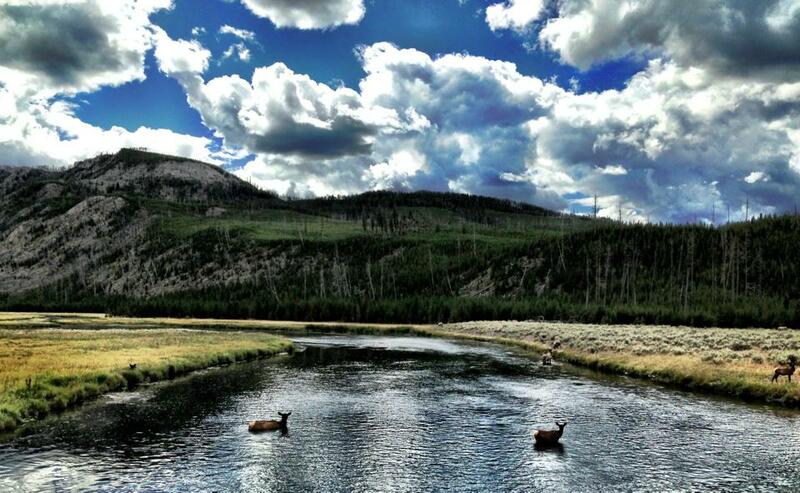 Stay tuned this summer, I’ll be posting my favorite hikes, places to shop and eat and summer fun in Jackson Hole! One cannot leave Jackson without the famous antler pic! The drive home was my favorite because the sunset was amazing over Glory Mountain. It really is the SIMPLE things in life that bring us the most HAPPINESS. One of my favorite quotes. Check the blog in the next few weeks for photos and more of my favorite hike!